Apartment with Terrace "Junior-Suite Pinotage"
This TGCSA 3-star graded small cottage offers furnished self-catering accommodation for two people plus 2 kids or one additional adult. It boasts 1 room open plan design with bedroom, bathroom, fully fitted kitchenette and lounge/dining room with satellite TV. Lounge: Combined lounge and bedroom with Queen-Size-Bed with side lights, big wardrobe, 4-seater table and Satellite-TV with DStv (English Channels); sliding door open onto patio and garden. Fully equipped kitchenette with fridge, stove and microwave. Washing machine and tumble dryer in separate room. Bathroom: Bathroom with shower cabin, basin/ cabinet and toilet. Soft fluffy towels provided. Outside: Beautiful patio with 4-seater table under sunshade, Braai (barbeque) facilities, sun loungers and flower beds, illuminated during the night. 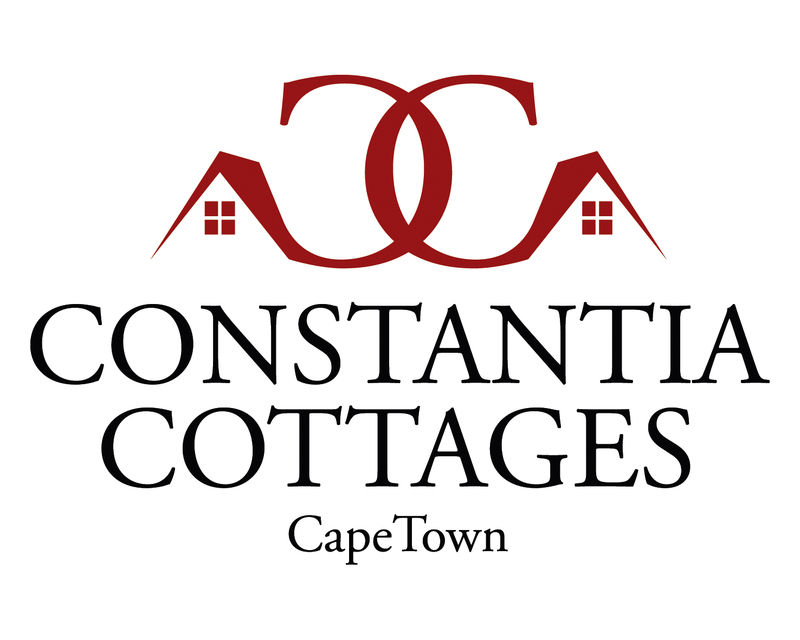 40qm heated Swimming Pool heated, weekly cleaned, to be shared with the other parties at Constantia Cottages, with loungers add to the amenities of the guests.